2009: Quality awarded by Center for Occupational safety. 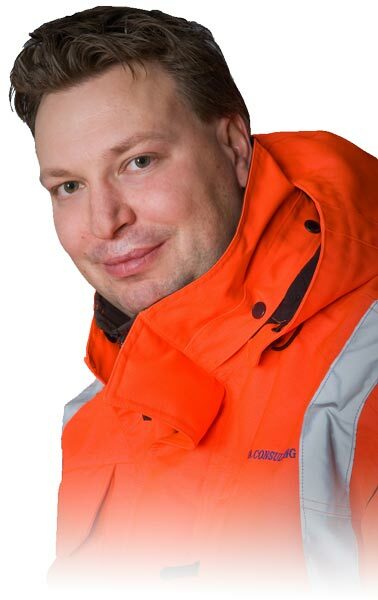 2013: Awarded for Hot work license training by Finnish Rescue association and Finnish fire chiefs. 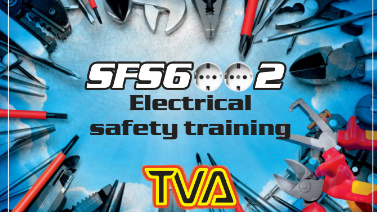 "As your business relies on Safety Certified professionals, you can rely on my services to deliver safety training when you need it and where you need it"
Ask us to organize a training at your place for your personnel! As you can see our training territory is quite wide. 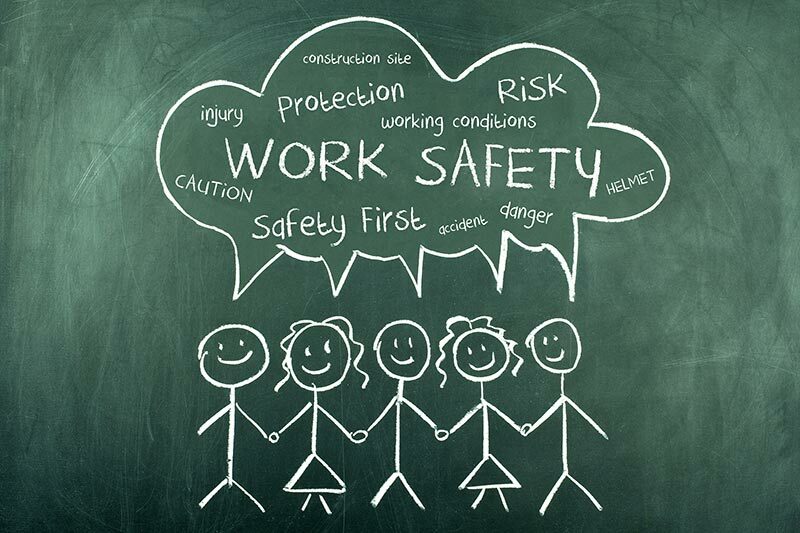 All personnel at the work place must be aware of correct procedures as well as safety regulations and act accordingly. Accidents cause suffering, delay projects cost money and cause bad publicity. Safety is an important quality indicator. Safety is not a cost, safety is an investment. 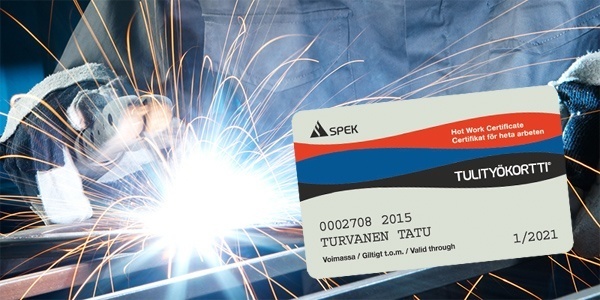 Hot work licence and occupational safety card trainings are common requirement in Finland. Principal employers require these licenses for all of the personnel that work in their area. 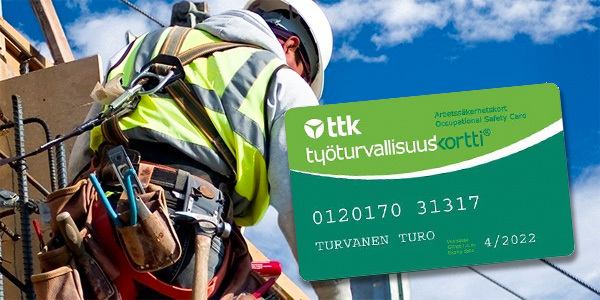 We can also help you to obtain Swedish SSG ENTRE SAFETY PASSPORT Card that is equivalent training for Finnish occupational safety card. Systematic safety work has also produced results. As an example, back in 1988 before hot work license training began, in 1987 37% of all the fires were Hot work related. Nowadays approximately 5% of bigger industrial fires are related with hot work. 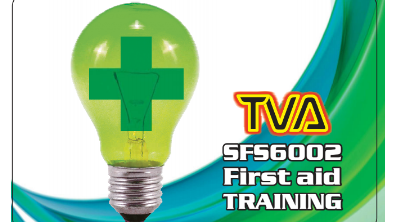 TVA Trainings provides safety consulting and organises Hot work-, Occupational safety card trainings and other safety trainings for both organisations as. Please notice that Occupational safety card training and Hot work license trainings require your full time participation for the day. When Occupational safety card training is scheduled 8-16 you are required to attend until the end, so please do not make any other appointments until after the training. Terms of delivery: Please verify your booking in time as confirmed order will take over unconfirmed one. Also sometimes plans change, which is understandable. However booking is binding for both parties. Booking can be cancelled with out fee minimum 7 days before the event! Cancellation less then 7 days before, we will invoice 50% of the total price (minimum/9 participants/training). Cancellation less then 3 days (Mo-Fri are counted) before the event 100% of the total price will be invoiced. 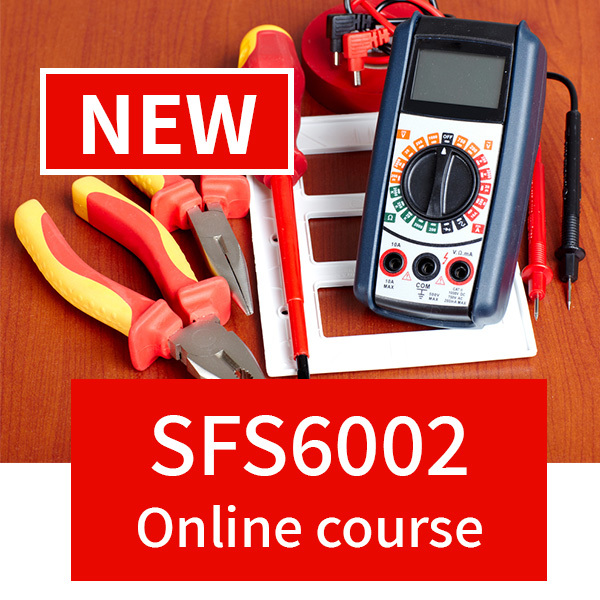 Participants can receive temporary Certificate after the training. Official Occupational safety cards and Hot work licenses will be delivered after invoice has been paid. Traveling expenses with car 0,69€/km. As fun as traveling is, it is unfortunately not free of charge: Traveling time 39€/hour (vat 0%) when traveling outside of Turku area. Traveling expenses are negotiable with bigger groups.